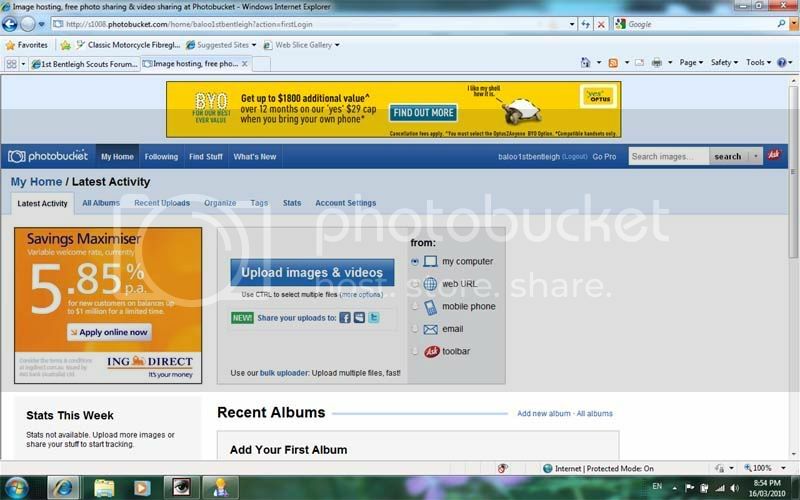 Step 1: Sign up to an image hosting service such as www.photobucket.com - make sure you select the free option! 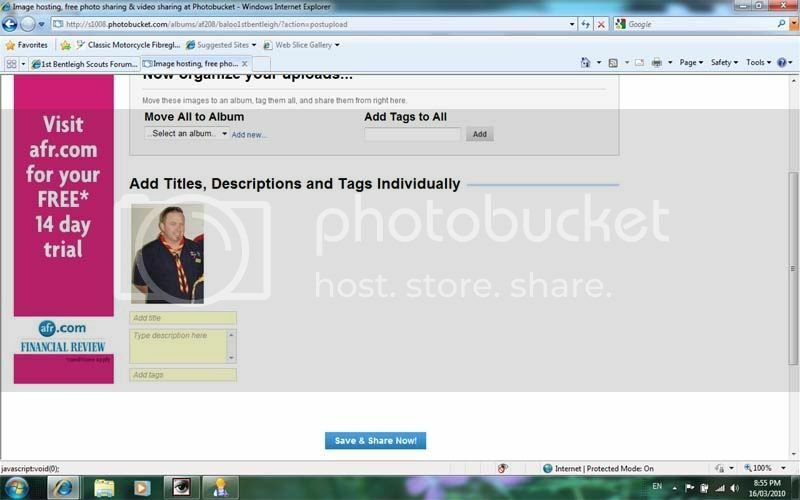 Step 2: Select the "Upload Images" option. 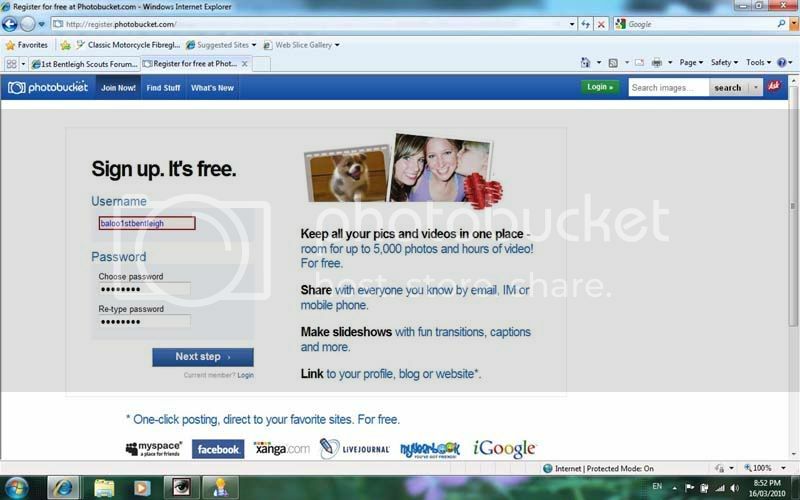 Step 3: Select the picture on your computer to upload. 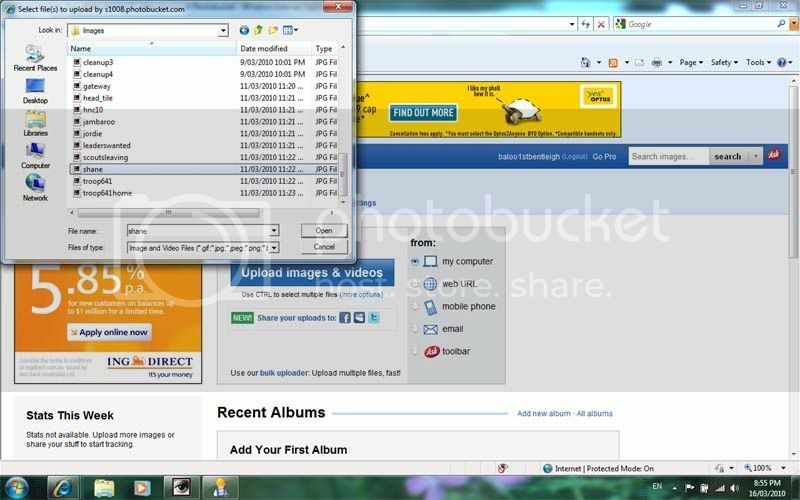 If possible, resize your picture to 800x600 pixels first, as large pictures will slow the forum down too much. 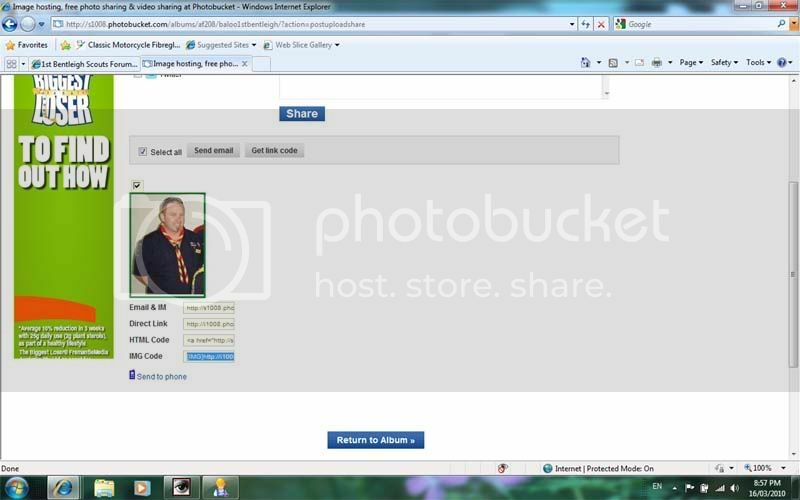 Step 4: After the picture has uploaded, scroll down and select "Save & Share Now!". Step 5: There are 4 options to pick from here. Find the option at the bottom called "IMG Code". Click on the text beside it and press Ctrl+C or right click on the text and select copy. 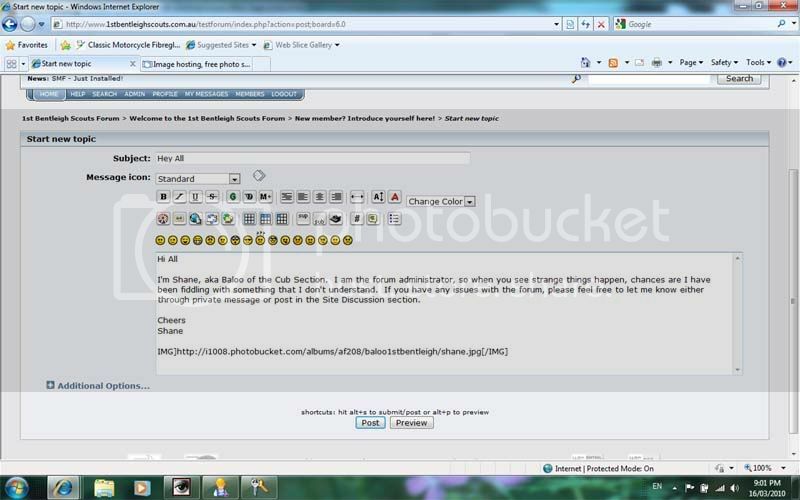 Step 6: Last one - in your post, select Ctrl+V or right click and select paste. The code will appear, and when you submit or review the post, the picture will be visible.